Let’s start with the basics and explain Medicaid and who’s eligible for both. Are You Eligible for Both? Medicaid programs vary from state to state and may also have different names, like “Medical Assistance” or “Medi-Cal.” Plus, each state has different income and resource requirements and in some states, you may need Medicare to be eligible for Medicaid. If you’re not sure about your eligibility, we can help. We’ll also answer your questions about how much health insurance coverage you need for your specific situation, and where to get it. In a single phone call, a SeniorQuote Licensed Agent will help you understand what you qualify for then shop more than 30 carriers to get you the right insurance plan. If you have Medicare and full Medicaid coverage, most of your health care costs are covered. People with Medicaid may get coverage for services that Medicare doesn’t cover or only partially covers, like nursing home care, personal care, and home- and community-based services. Also, with Medicare and full Medicaid coverage, Medicare covers your Part D prescription drugs. Medicaid may cover some drugs and other care that Medicare doesn’t cover. 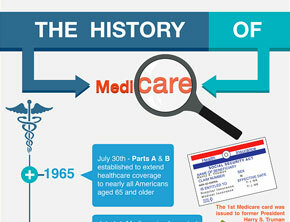 You can get your Medicare coverage through Original Medicare or a Medicare Advantage Part C Plan (like an HMO or PPO). Dual eligible Special Needs Plans (D-SNP) are available to those who meet certain criteria. These plans help cover all or some of the cost sharing for medical benefits and always include prescription drug (Part D) coverage. In addition, many plans will offer benefits that are not generally covered by either Medicare or Medicaid. These benefits may include dental plans, corrective vision coverage for exams and eyeglasses, additional podiatry benefits, hearing exams, hearing aids and fittings,and transportation to and from medical appointments. Most of these plans operate within a coordinated care network, either a PPO (Preferred Provider Organization) or HMO (Health Maintenance Organization). It can be difficult finding all the information you need, understanding the finer details, sorting through your options then determining if you are eligible for both Medicare and Medicaid. It’s your health, so it’s really important to get it right. Why not make it easier on yourself? Call a SeniorQuote Licensed Agent today to help you make the right choice.